Methane emissions from agriculture is a tricky problem to solve, but scientists think they may have come up with a solution. The agricultural industry is responsible for a staggering amount of greenhouse gas emissions each year. Roughly 25% of man-made global warming comes from the gas methane, and much of that methane comes from the stomachs of the cows and other livestock we cultivate. Countries around the world are doing what they can to combat this number, and in the US, states like California are taking steps to regulate and reduce emissions from livestock. It’s a tricky problem to solve, but scientists think they may have come up with a solution. When we think about global warming, we often think about carbon emissions. In fact, the gas methane can be anywhere from 20 to 86 times more powerful over time than carbon in its destructive environmental capabilities. Although gases like methane are not quite so long-lived as carbon (it falls under a category called SLCPs, or Short-Lived Climate Pollutants), it has the ability to trap a significantly higher amount of heat during its short lifetime. Methane is created when organic matter breaks down and decays without a proper supply of oxygen, meaning it can be produced in landfills, from mining coal and pumping underground supplies of oil, and forest fires. But one of the largest producers of methane actually comes from gut microbes in the stomachs of livestock. Cows in particular contain millions of tiny microbes inside their stomachs to break down the fibrous content of the food they eat and aid in digestion. They have four stomachs, take a long time to digest their food, and constantly burp and emit gases while they are eating and digesting. The process is integral to their survival – it’s what allows them to survive on grass – but it comes at the cost of producing a lot of methane, and the huge number of cattle bred and kept around the world for human use and consumption mean that cattle are responsible for a large amount of the world’s methane emissions. 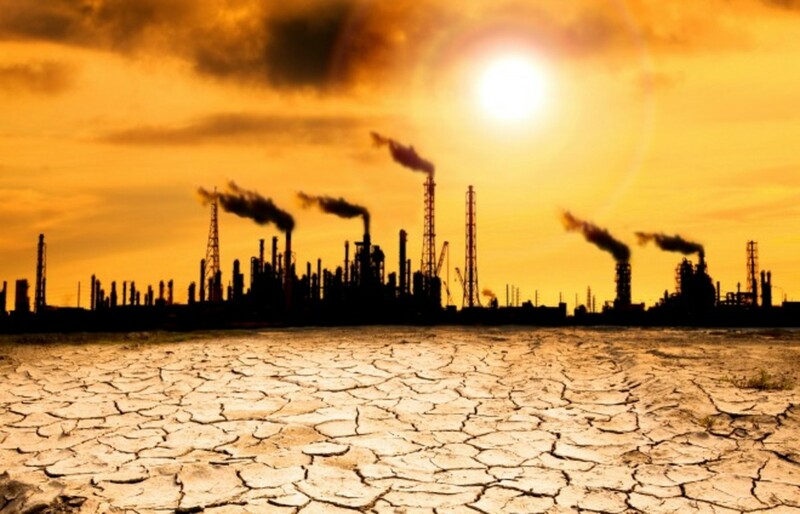 A Californian study in 2013 determined that 42% of the state’s greenhouse gas emissions were coming from short-lived climate pollutants like methane. In 2017, the state adopted regulations that vowed to reduce their methane and fluorinated gas emissions by 40% before 2030. Those reductions are planned to come from methods like eliminating food waste in landfills, minimizing oil and gas leaks, changing which gases are allowed for use in appliances like air conditioners and refrigerators, and replacing wood stoves with gas-burning equivalents. But cattle still formed the biggest roadblock: how do you change the way an animal functions? Because of this issue, regulating methane emissions from livestock will be done entirely on a voluntary basis until 2024, in order to give time for a solution to be found. But scientists finally believe they are on the right track – and it’s not what you might expect. Researchers from UC Davis in California are finding surprisingly effective results after experimenting with different types of cattle feed to reduce methane emissions by the cow. The team of scientists believe that since most of the methane comes from the animal itself, then nutrition could be the answer. The cows’ methane emissions in their breath is measured four times a day by a specialized device to see the effects of the food they eat. In the barns being used for the university’s studies, the team of researchers have found remarkable success in the effects of an algae diet on their test group of 12 cows. By including just a small amount of red seaweed in a mix of cattle feed and molasses, scientists are finding that the emissions of methane in the cows has dropped by an overwhelmingly dramatic 99% – a number so staggering that the researchers actually believed their measuring instruments must have been broken. Certain compounds in the seaweed seem to disrupt the enzymes that the cows’ gut microbes use to produce methane, and the results of this experiment are incredibly promising, but the work here has not finished. The team plans to expand their testing to a much wider group of livestock to be tested on farms around the world. This is not the first time that dietary supplements for cows have shown great promise. In 2010, British scientists found that curry spices like coriander and turmeric could drastically lower the amount of methane emissions produced by livestock, but the wider rollout of the practice failed because the animals did not like the taste of the food, and refused to eat it. With that in mind, the scientists in charge of this current research project are still feeling very encouraged by their results. Other countries – like Australia and Ireland – have also started looking into the possibilities as well, with similarly promising results. The exciting part about seaweed as a solution is that it is easy to grow and obtain, without dependency on things like land or fresh water, and its use in livestock feed could provide a simple and incredibly effective solution to a huge problem. Photo Credit: Pacific Standard, Mashable, Science Alert, TakePart.